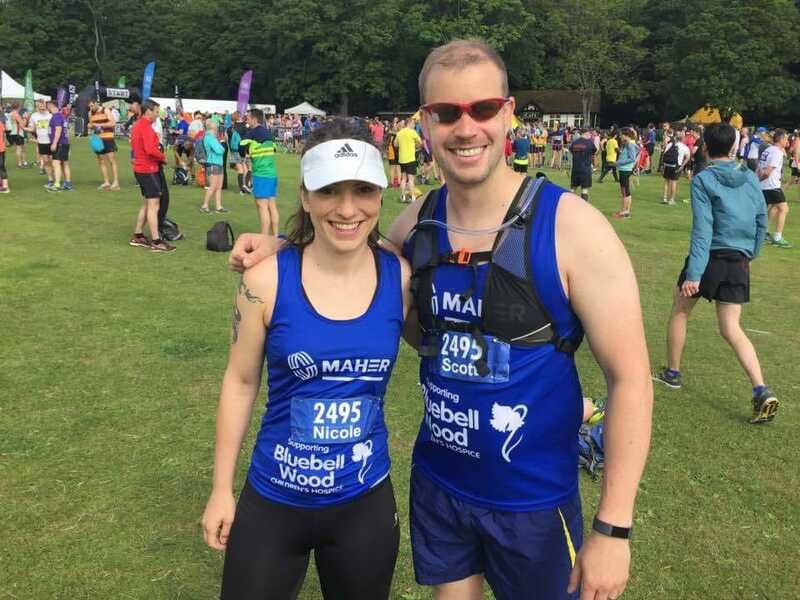 On 25.06.2017 Maher employees Scott Fraser and Nicole O'Neill took part in the Round Sheffield Run, a 20km long 'epic multi-stage trail race' in aid of Bluebell Wood Children's Hospice, our company charity of the year. Well done for completing the race in 1 hour and 55 minutes! Bluebell Wood Children’s Hospice cares for and supports children and young adults with a shortened life expectancy and a range of complex medical needs. Each year it costs over £4 million to keep the hospice open. Almost all of the funding comes from donations as Bluebell Wood only receives around 10% of government funding so every donation really does count.